Ana Isabel graduated in Fine Arts at Malaga University, is Interior Designer and learns English and French. Franziska (Paqui) is graduated in Business Administration and Management at the Economics and Business Faculty in Málaga, she speaks German, English and Spanish and is starting to learn French. Marina studies Turism and learns English. 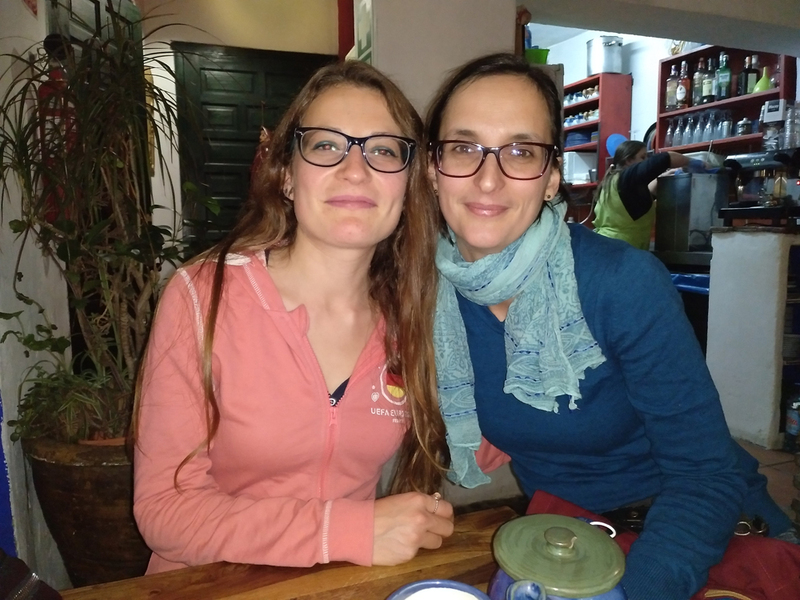 Denitsa , Primary teacher, from Bulgaria speaks English and is learning Spanish. Tuesday, 23 of April at 20:30. Thursday, 25 of April at 20:30. Friday, 26 of April at 20:30. Tuesday, 30 of April at 20:30. We assign speaking partners at mixed tables and speak the first hour in Spanish and the second one in the Foreign Language. We charge 2€ for every participant who inscribe and is admitted to the meeting. One consumption at the teteria or bar and corresponding payment is mandatory (as the establishment reserve tables for us and contract additional staff). English-Spanish Language Exchange with partner swap after 1 hour. 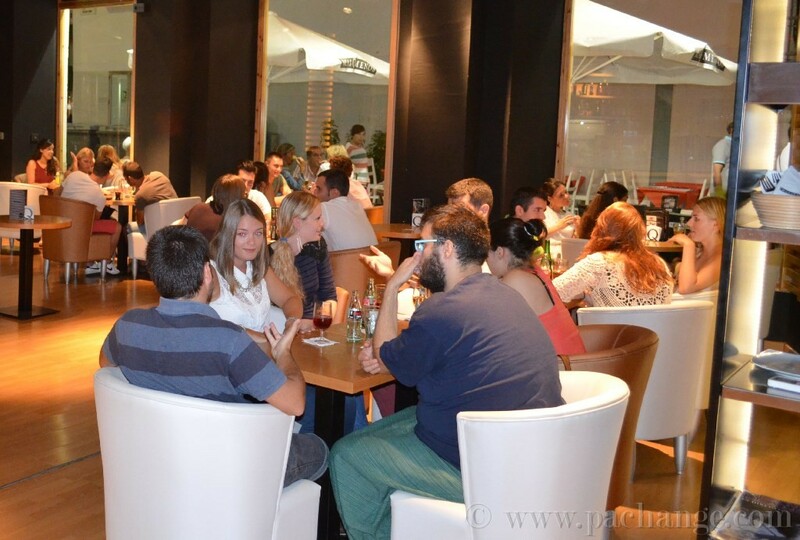 At each table we speak the first 30 minutes in Spanish and then 30 minutes in English or another Foreigh Language. Duration: 2 hours. If you want to participate, it is necessary to click here to subscribe online or you can also send us an email to malaga@pachange.com with your personal information (name, age, native language, the language you want to practice and level, telephone and email). Your inscription will be valid if you receive a confirmation email with the details of the meeting. If you don’t receive any email in a one days time during the week, check your SPAM box and you should contact us directly by email, to see if we got your inscription correctly. Please notice that there are usually always places available for Foreigners. It is necessary to register again for every meeting, that means, the enrolment is only valid for the meeting which is announced at our webpage in the moment of the inscription.